By	Rebecca Murtagh | Rebecca's Thoughts on . . . Despite the explosion in creation of RSS content in recent years, RSS feed adoption remains low. Only 10% of users in a recent Pew Internet Study report getting digital news via RSS which comes in third after email only dominated by the web, identified as the #1 source for news online. Where do consumers get their news? Whether you update your blog and other sources of RSS content (news, press releases, etc.) once a day, week or month, the content is of no value if it is never read. Many that would be interested in this content will never subscribe to the RSS feed, and subsequently will miss some, or much of what is published. Because many readers don’t understand what RSS is, or how to subscribe, they take their chances that they might miss something and visit the blog when they can. Wouldn’t it be nice if you could notify them via email every time you post? One of the easiest ways to automate this process is to use a solution that automates the process for you. When you publish a post, an email will automatically be sent to those who have enrolled. Branded messages make it easy to notify email subscribers every time you add a new blog post, press release, promotion or announcement to your RSS feed. Create a branded message to notify others of new posts. Raise awareness and improve engagement of posts. Automatic email generation every time you post, no further action required. 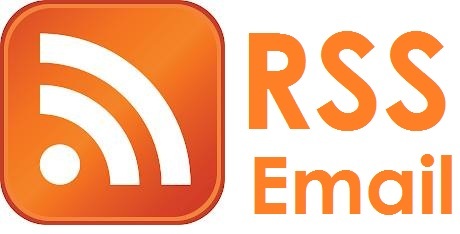 Invite subscribers to subscribe to RSS feed on your blog (much easier to most than the RSS concept). Promote Engagement with content, which can greatly enhance sharing and impact on organic search visibility on the topic. Exponential increase in email usage from mobile devices increase awareness of your blog. Below is an informative video produced by Aweber, which offers this solution, explaining the barriers to RSS feeds and how automatically generated emails could eliminate this barrier between writers and their audiences. AWeber is one email list and broadcast solution that offers RSS to Email. Constant Contact also offers RSS to Email, as does Mail Chimp. Automate: Automation is key which is why most will want to manage this from a program that will create the list and automate distribution of the blog when new posts are published. Keep it simple: Enrollment should be quick and easy. Direct reader to the online version: Setting the email to introduce the topic and refer the visitor to the online content for the entire post will promote sharing, comments and engagement. Set it and Forget it! Email solutions make it easy. Create a template, add the URL for your RSS feed, copy and paste the html for the form into your website and the program does the rest for you. Below is a sample, which is enrollment in my Blog Newsletter. When you enter your email address below, or to the right, you will receive an email notification every time I publish a new post on this blog. Are you sharing your blog via email? How has it worked for you? Or, is this a new concept you will likely test? Full disclosure: I personally use both Constant Contact and Aweber, as does my digital marketing firm which has a business relationship with both entities. Previous Post LinkedIn Endorsements to be Weighed in Search Next Post Has Social Media Forever Changed the Exchange of Christmas Cards?